The best way to pick your Paris guidebook is to find out if it mentions BHV, the Bazar Hotel de Ville. If it doesn’t, don’t buy it. The BHV is a cross between Macy’s, K-Mart and Home Depot. Absolutely incredible. The basement is a paradise of knobs, hinges, plugs, little odd metal pieces, hardware, hammers, screws, saws, signs, nails, plastic, aluminum, awls, axes, mallets, brushes, buckets, sinks, tubs, windows, scoops, shovels, picks, batteries, maps, oil filters, air filters, everything. Upstairs is a huge quantity of clothes, electronics, music, books, perfume, lingerie and the other usual items. The place isn’t quite as big as Macy’s, but it’s in the running. And it’s a five minute walk from my apartment. Okay, okay. The audience clamours for pictures of things they’ve seen before. I dunno why this is. 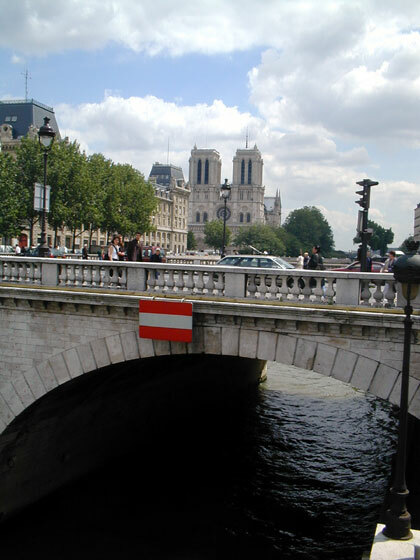 So, left to right, Notre Dame, the Seine and the Metro. 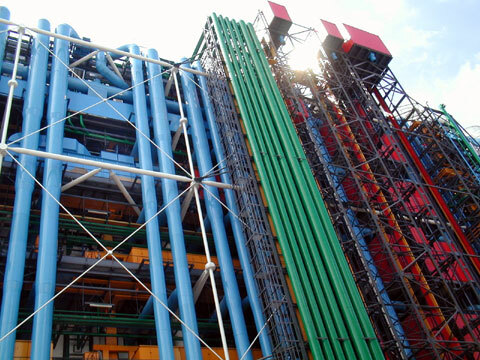 In the upper left corner of this page is Centre Pompidou. 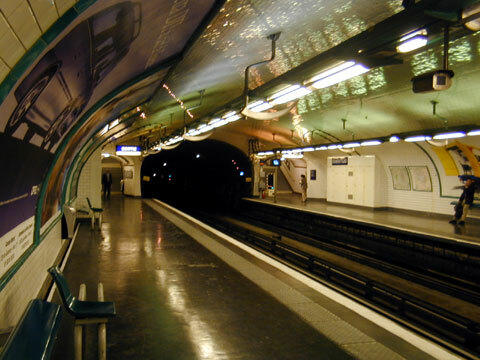 It’s obvious to you by now, I think, that these pages are not written for the long-time Paris visitor or local, yes? They are written for people who will never get here, or perhaps have visited once for a short time and wish to return, and they are written, of course, for myself. An audience is appreciated but not necessary. 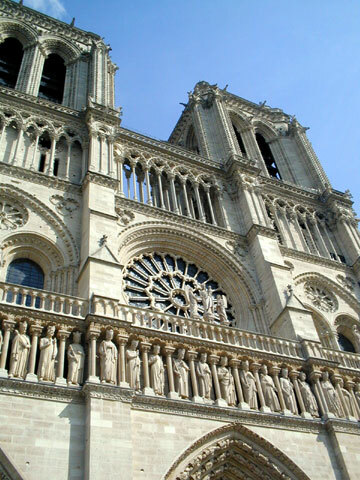 I ran across Notre Dame by accident and was inspired to create the Notre Dame Index for Acceptability. The Index measures the likelihood that you will feel like a tourist even if you’re not. Of course, you’re asking me, Grant, how can you be a tourist if you carry around a camera? I keep it in my pocket when not in use? Attitude? I dunno. Anyway, the Index: Count the number of Americans you hear. Divide by the number of French voices you hear. Count the number of pictures being taken and multiply that by the number of groups of two or more people wearing the same shirt, usually student groups, but sometimes families or couples. Add the first number (voices) to the second number (picture taking groups) and add the number of Germans, crying babies, crying German babies, and multiply by that whole result by the number of white Reeboks you see. Notre Dame, on a quick walk-by, rated a high of 485. The street outside my apartment rates a zero. These are the two extremes on the scale so far.